If you’re a type of traveler who always seeks for adventure, there are high chances you’re passionate about outdoor activities. These activities will provide you with a unique experience while exploring new destinations. Also, you can be sure that you will stay fit during your travels if you’re taking part in outdoor activities. What is one of the most popular activities adventurous souls could participate in? It would definitely be hiking. Depending on your fitness levels, many hiking trails around the world will suit you. If you’re an adrenaline junkie, then you should definitely think about taking a hike to some of the most dangerous trails in the world. Have you ever thought of hiking through the extreme hiking trails where you’ll face your biggest fears? If that’s right, then we, long-time travelers and influencers, will introduce you to the most dangerous hiking trails in the world. These trails are only for the bravest of adrenaline junkie travelers! Hiking through Mount Huashan is definitely one interesting experience when it comes to hiking. 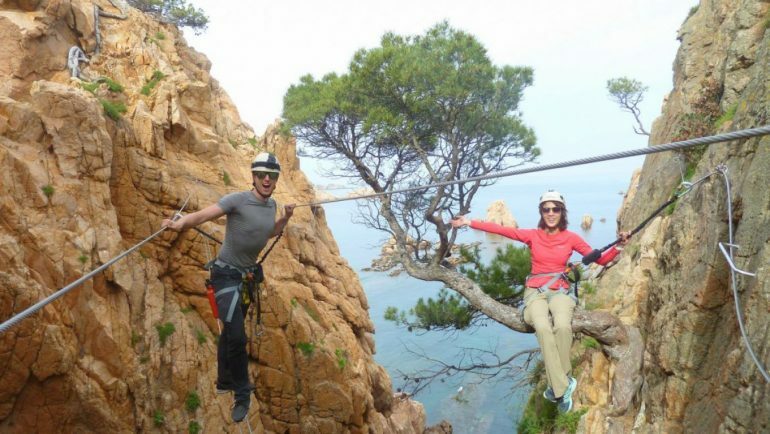 If you’re scared of heights and narrow wooden paths, then we advise you not to take this hike. The hiking trail is located in central China with a total length of 12 kilometers. The most dangerous hiking trail is by far Mount Huashan in China. There are many videos online from adventurers who’ve already been there, and we assure that you’ll have a tingling feeling while watching. The trail starts off with gentle elevation and few stairways through stunning forest and river along the trail. There won’t be many people on the trail which will provide you with an extraordinary outlook on nature and wildlife. As you’re moving forward, you will approach the mountains and hundreds of steep stairways carved into cliffs. That’s the moment where the interesting part begins! Soon, after that part, you will reach the place where staff will equip you with the proper tools to go through the plank trail. That part of the trail is literally made from plank and chains for better grip. There are many rumors that more than 100 people die each year during the hike. Although, the fact is not proven, but still, it’s one of the most dangerous hiking trails in the world. Once you reach a plank trail, you will be surrounded by breathtaking views of mountains and nature. 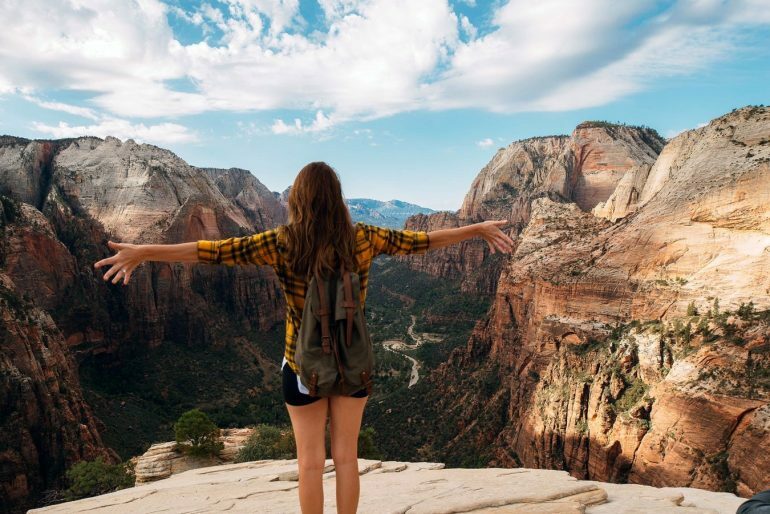 It’s definitely a hike you should try if you’re an adventurous soul who’s brave enough to finish it. If you plan your next trip to Spain, then you should probably check out Caminito Del Ray – the European version of Mount Huashan. The whole trail is 8 kilometers long, and it reaches the height of 400 meters in some parts. At first, it may sound like nothing adventurous or dangerous about this trail, but the trail was closed in 2000 after numerous deaths were reported. If you’re still not scared and you feel this trail will give you a proper adrenaline fix, then you should definitely buy a ticket and check this trail by yourself. Caminito Del Rey is the European version of Mount Huashan. The beginning part of a trail is elementary to complete as you’re going through small elevation surrounded by woods. The famous part of the trail starts when you reach a notorious boardwalk. The boardwalk is a path that is around 3 kilometers long, and there are a few sections where the trail collapsed. On these collapsed sections, you will need to use steel beams and chains to balance yourself. To complete this trail, you will definitely need a proper climbing equipment that you can bring or rent. Since the government reopened the trail in 2015, it becomes safer as there are some minor reconstructions done on the trail which increases the safety levels. Also, you can hire a professional guide who will help you along the way. The whole trail will last around 4 hours, offering stunning views of surrounding cliffs, canyons, rivers, and forests. Are you crazy enough to take this hiking route? 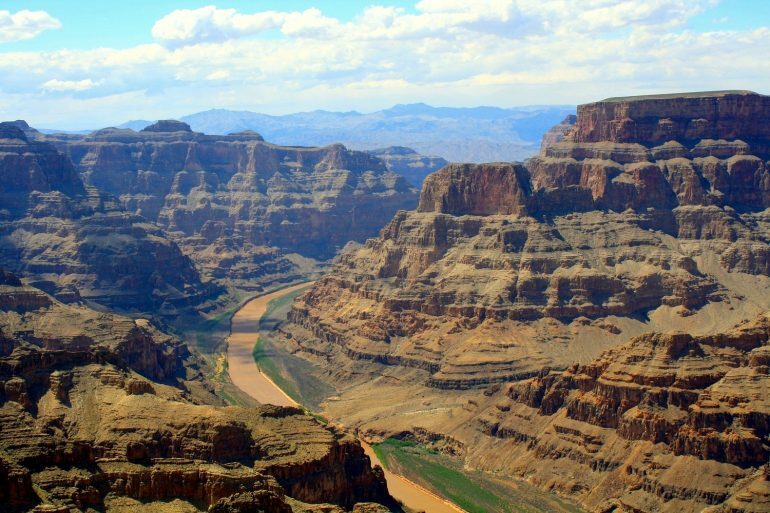 For people who’re visiting the USA, there is one natural wonder everyone must see once in a lifetime – Grand Canyon. This amazing canyon offers breathtaking views that will leave you wordless, but not only that! There are a few dangerous hiking trails for most advanced adventurers out there. One of the most famous trails is called the Bright Angel Trail. The total length of the trail is around 13 kilometers, and when you combine it with extreme heat, you get a pretty tough trail to complete. The trail itself doesn’t have narrow boardwalks in the middle of the cliffs, but it’s still one of the most challenging hikes you can take. If you plan to visit Grand Canyon, then don’t miss the Bright Angel Trail. When you’re starting, you will experience descending all the way to the camp. Be sure that you’re in a great physical condition as descending on the way to the camp and constant elevation to reach the beginning can be demanding. If you add the heat there, you get a challenging hiking trail that is only for the bravest adventurers. Via Ferrata is one of the most dangerous trails in the Alps. The name of the trail is a literal translation of iron road. That can give you a great idea of how this trail looks like. To complete this trail successfully, the physical form isn’t the only condition, but also, you need to have climbing skills too. The guided tours will take around 5 hours to complete and you’ll be overlooking cliffs, thick forest, winding rivers and stunning wildlife. To complete Via Ferrata, you’ll need to have climbing skills too. There will be places where you won’t be able to walk, but instead, you’ll need to climb the rocks using cables and other climbing equipment. Also, we should mention that you’ll be climbing through the majority of this trail on the cliffs that are at least 200 meters above the ground. There are many routes you can try, depending on your physical levels and climbing skills. You can’t take this trail on your own as you need to book a private or group tour in advance. 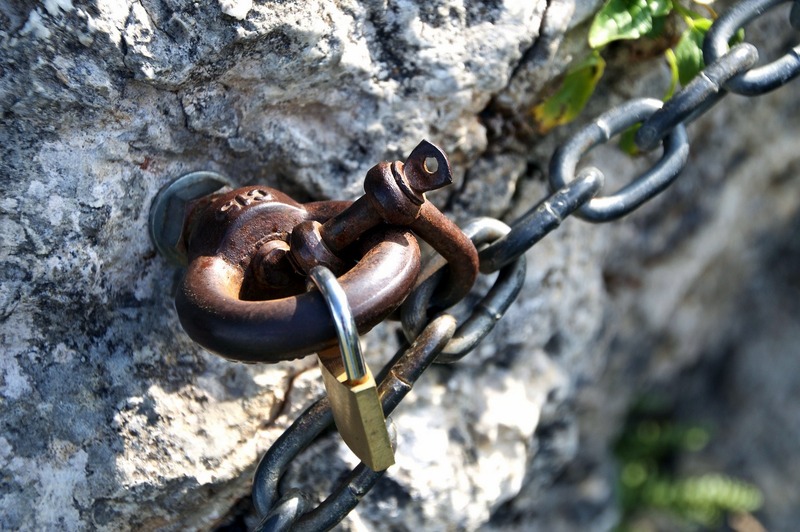 What was the most dangerous hiking trail you completed?